We just got back from our week-long vacation. Did we go to an exotic location? Why yes we did! The wilds of Northeast Missouri. It was wonderful to catch up with our many friends and be part of an amazing wedding. Here are some of my parting thoughts as we flew back to the Central Valley. 1. Driving painfully slow behind some kind of large farm equipment. 3. Winter although this winter has pretty much been a piece of cake. 4. Ice skating on sidewalks. 5. Only having 3 grocery stores to choose from. There were 5 when we moved here 20 years ago. 6. Lack of dining options, especially when it comes to ethnic foods. 7. Dodging deer on the road. 1. The lack of traffic at rush hour or any hour really. Except during fair week. 2. Experiencing the true four seasons in a year. As much as I hated the cold and the humidity, the change of seasons was always been amazing. 3. Catching up with friends at Wal-Mart. There’s been lots of great impromptu conversations in those aisles. 4. The bunny family that lived under our deck for a dozen years or so. It was always so much fun to see the new batch of babies as they learned how to fend in their bunny world. 5. Having the UPS guy ask if I wanted the package he has for me dropped off at home or work. 6. Discounted medical care from my many doctor friends who made being uninsured much more manageable. Yesterday I reviewed Kathy’s new book, Thirty Days to Glory. Thanks to technology, I got to ask Kathy Nickerson, author of Thirty Days to Glory, some questions about life and writing. Do you remember the first story you wrote? If so, what was it about? Every writer has their own personal timeline in which they develop their skills. What was your journey from writing as an educational exercise to writing as a passion? My journey was long, but wonderful. I basically spent twenty years enjoying writing as a hobby. I studied, practiced, and puttered. I even had several articles published. Then, one day I woke up and thought: You better do this before you get too old to remember the stories. So, I took an online course in writing fiction, and I got busy. We’ve known each other for about a quarter of a century. I’ve watched you go through highs and lows in your writing journey. Tell us how you have learned to deal with the rejection every writer faces. What are your 3 favorite books and why? Hmmm. That is a tough one, but here are three of my favorite novels: A Tale of Two Cities. I love unraveling the language in those long, complicated sentences. It is almost like a puzzle. And the ending is just so beautiful and heart-rending. I think you have to really believe in redemption and in Heaven to enjoy it, though. Heidi – I know this is a children’s book, but the story of family and relationships crosses all ages. Once again, redemption plays a major role. The Help – A modern favorite. The first time I read this, I felt I was literally sitting in the kitchen with Abilene, Skeeter, and Minnie during the scene where violence breaks out. I caught myself holding my breath. This one wins for good writing, good story, and a topic that made me think. And pray. Who are your 3 favorite writers and why? Serenity Bohon, Felicity White, and Charity Long. Is that cheating since they happen to be my daughters? I also enjoy a little Charles Dickens and some Jane Austen. I am a big fan of Jan Karon’s Mitford series. Are there new books in the works? Are you still submitting articles to periodicals? Yes, to the books and the articles. Characters from the next book have been talking to me. They seem eager to get on with their story. And some other novels are waiting their turn. I also plan to submit more articles this year while Thirty Days to Glory is floating around in the world. Is there a message you would like your readers to take away after reading Thirty Days to Glory? Prayer works. Relationships matter. We are never too old or too lost to make a change or make a difference. Thanks, Kathy, for answering all our questions. With Christmas just around the corner, Thirty Days to Glory is the perfect present filled with hope and joy. You can purchase it at Amazon and CrossRiver Media. I was thrilled to receive a review copy of Thirty Days to Glory, Kathy Nickerson’s first published novel. As a long-time friend of hers, I had been hearing bits and pieces of this story for years. To actually get to hold this novel in my hands was a great feeling. With all this said, the question to ask is: was this novel worth the wait? I can only respond with the most enthusiastic of yes’s. I was so wrapped up in the book I read it in one sitting, finishing it at 1:27a.m. It is truly that engrossing! Thirty Days to Glory is a novel that immediately draws you into the worlds of Catherine, an elderly widow, and Elmer, the most broken of men. The paths of these two strangers cross in a way that only Heaven can arrange. The setting for the story is Christmas time in a very small town in the Midwest. Kathy, having lived in such a town for her whole life, captures the rhythm and relationships flawlessly. Catherine misses her husband, Edward, more each day. The holidays only make his absence harder to bear. She wonders if there are any more adventures for her or if life is over. Faced with pressure from her children to move to senior housing, far from her friends, Catherine must face the awful realities that growing old bring. I felt so sorry for this vibrant woman who represents an increasing segment of our society. Her choices will soon be mine. Elmer is a man so tormented by PTSD that he has spent years insulating himself by crawling to into a bottle of booze. Much to his surprise and consternation, he begins to lose his taste for alcohol. Real life starts to surface, as Elmer struggles with facing the truth of the shattered life he has lived. I found myself rooting him on, hoping that he made the right choices every step of his journey. Serving as the best type of Greek chorus are the Glory Circle Sisters, friends who have been together for decades. These lovely and hilarious ladies not only take care of each other, but also serve as prayer warriors who bring the power of heaven to earth for each other. The Sisters know each other’s strengths and weaknesses, yet love with a commitment that is all too rare these days. My favorite sister is Madge, the loud, blunt, redhead who dares to say what others won’t, or shouldn’t. She provides comic relief in the midst of this serious drama. The characters in this book are so realistic that I mourned the loss of them when I reached the final page. Kathy has an amazing talent for making you feel like what is happening to Catherine’s life is happening to you. Elmer’s story is one that is all too common in real life. The struggles he faces seem insurmountable but God has not forsaken him. I found myself wishing I could jump into the book and help him find his way. Thirty Days to Glory will stay with you long after the story is over. It highlights the lives of our most marginalized citizens and asks us to become more compassionate and understanding. This story also reminds us that God loves us and is actively involved in our lives, even when we can’t see it. I encourage you to read this book. It will change the way you view the world. Also, be sure to pick up a few copies for Christmas presents to give to those who are facing their own life-altering decisions. Thirty Days to Glory is available through Amazon or CrossRiver Media. Tomorrow I will be posting a great Q & A Kathy and I did. *I received a copy of this book from CrossRiver Media for review, but was not financially compensated in any way. The thoughts and opinions expressed are my own and are solely based upon my experience while reading this book. <I wake up. Sunshine fills the room, which is much bigger than I expected. The light on the ceiling is different and the walls are cream colored. Harold lies next to me softly breathing. Why is the dresser in the corner? I get up. There is a large double closet. Next to the closet is a long counter with a sink and a space where a small, padded stool is tucked underneath. A door leads to a room that contains a toilet and a roomy shower. It’s disorienting. We have been in our apartment for 14 days. I still wake up with a bit of a start to the not yet familiar surroundings. Last Thursday my best friend, Patty, flew out to help me finish unpack and decorate the apartment. It seemed even stranger picking out rugs, pillows and wooden giraffes to scatter through our space. Before we moved we sold most of our furniture, which was pretty old, and bought new things last week. While all this was a huge amount of fun, in a way it added to the bit of strangeness we are feeling. We have been finding our way around, which Harold is much better at than I am. We have settled on a preferred bank, grocery store and gas station. There is a Starbucks on the corner a couple of blocks away. The vast number of places to shop is crazy, and I’m from Los Angeles! Through all of this we feel the continuing grace of God and are acutely aware of his presence. We have been received with such love by Bread of Life church and for that we are most grateful. Everyone has been so kind and are a big part of helping us adjust to our new surroundings. Moving to a new city is one of the most stressful things you can do but when you are surrounded by friends near and far who support you and pray for you makes all the difference. Thanks to all! That is pretty much how we all feel. The last 2 or 3 weeks have run together so that they are blended into a frappe of images. Packing the U-Haul truck in 102 degree heat. Long conversations at the Smoyer’s as we reminisce about the last 21 years. Saying good-bye to Debbie M. and Sherry S. at the tiny Kirksville airport. Evan & I almost missing our connecting flight to Fresno because the plane got to Phoenix an hour late. (“Mom, I have to go the bathroom!” “I don’t care! Keep running or we’ll miss our flight!” We were the last 2 people on the plane.) Harold, Doug & Linda arriving Thursday and unpack the truck in 100 degree heat at 5pm but with tons of help from our new church family. So many emotions too. The scary happy feeling you get before embarking on a new adventure. Harold & I have joined the Middle Aged Adventurers Club. Tremendous, painful sorrow saying good-bye to so many friends, not knowing if we will see them all again in this life. The confusion of finding my way around a new city when I can’t tell west from east. Happiness when we discover the grocery prices aren’t any more expensive than Kirksville so that means our budget will work. Exhaustion bringing deep sleep. Crankiness at having to unpack yet another box. Amazement at the provision and mercy God has shown us as we buy new furniture and pay cash for it, a first for us. I’m going to upload some pictures later today and will post a link if you’d like to see them. But for now it’s off to the pool for Evan and I before it gets too hot. Supposed to be 108 today but hey, it’s a dry heat! Evan and I arrived in our new city of Fresno Monday night, exhausted from plane delays and running through airports. Gilbert and Ann picked us up and whisked us away to Mimi’s for a yummy dinner. We have spent the last couple of days recuperating from all the work of moving and the emotions of leaving our beloved friends in Missouri. Life Church threw an amazing going away party last Wednesday night. I told people it was like going to your own funeral and listening to the eulogies. We were beyond blessed to see friends who drove over an hour to say their good-byes. We laughed at stories that were told about us and cried when the stories were about challenges we faced with our friends. Sunday, however, was painful. Our friend Jeremy, one of the elders at Life Church, gave a wonderful and humbling message about following God wherever he takes you. Then was the time for prayers over us and the actual personal farewells to our church family. There is no way to get past that without tons of tears. Over and over I was reminded what a blessing it has been to serve with all these people. It is a great comfort to know that we will be together in eternity. 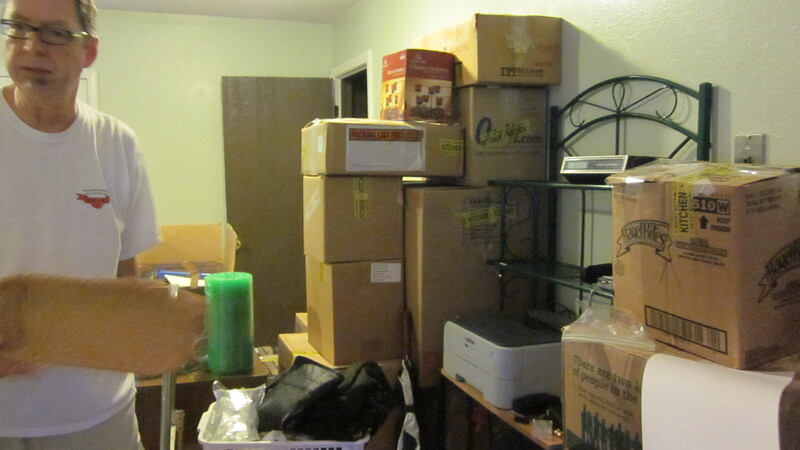 There is much to be written about the weeks preceding the move. I plan to elaborate over the next few weeks but for now I need to get ready for a 4th of July party where we will meet new friends for this next season of our life. Hug and appreciate those who you live life with every day.